CreateSpace E-store is my preferred Online Venue but if you prefer to take advantage of your Amazon Prime Free Shipping click here. I had this particular project on my heart and mind for a long time and I'm excited to finally have it finished and available for purchase! It was a joy to create and I hope my enthusiasm and inspiration shows in my work. All of the line art was entirely hand-drawn by me! To steal (sort of) a line from my friend Mark Sparacio: No computers were harmed in the creation of these 40 drawings! 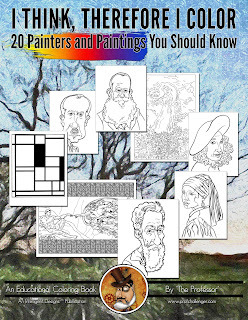 This educational coloring book is the second volume in the "I THINK, THEREFORE I COLOR" series and features striking caricatures of 20 notable painters and line-art versions of one of their most famous paintings perfect for coloring. 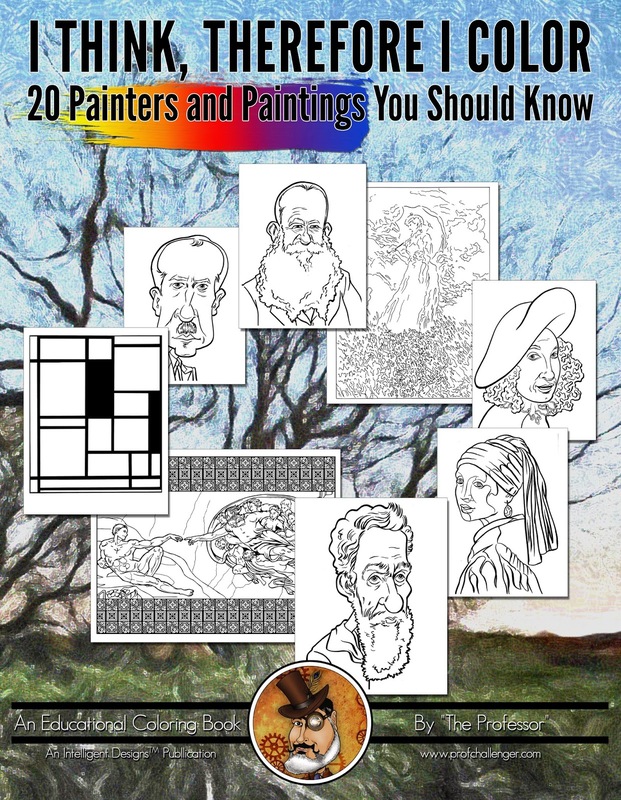 Spanning over 5 centuries, these artists and their paintings are deserving of your mad coloring skills. For as we all know, learning new stuff is always better when you're having fun doing it!